​Abiding Spirit Aikikai is honored to again host Hiroshi Ikeda Shihan, 7th Dan, for a Weapons and Empty Hand Seminar. 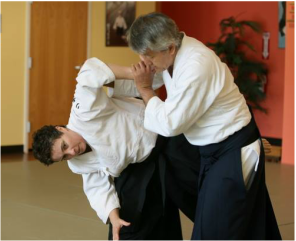 Hiroshi Ikeda Shihan is one of the leading instructors of Aikido today. Well-regarded for his soft but effective style, he travels extensively, conducting Aikido seminars at dojo around the country and abroad. We are happy to once again host Ikeda Shihan for a three-day seminar. This year Ikeda Sensei has agreed to teach not only empty hand technique, but also his unique system of weapons training, which he hasn't often taught in the Midwest area. Please bring bokken and jo with you for the seminar. Flyer and registration information are available HERE. ****Space is limited, and we will close registration when we reach our limit so please don't wait to register!